Hello lovelies! 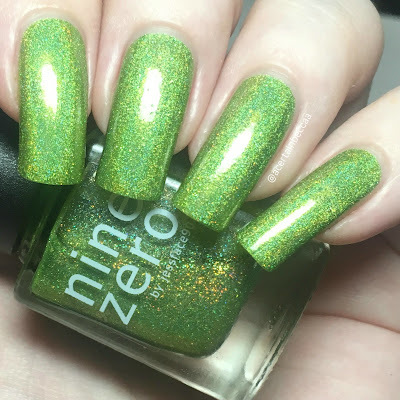 Today I'm continuing on with my monthly Nine Zero Lacquer A Year In Review swatches, this time with 'August 2016'. If you missed my swatch of 'July 2016' last month, you can find that post here. Read on for my full swatch and more info! 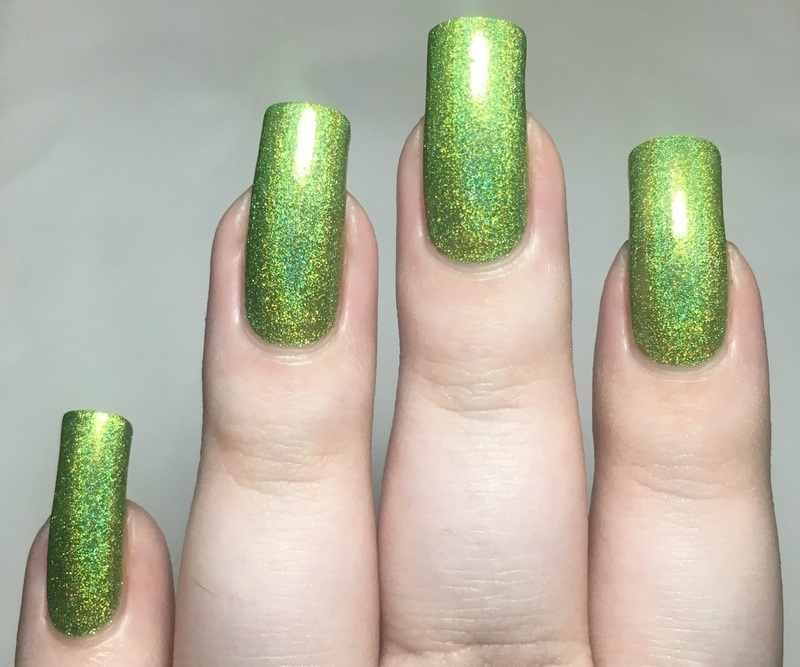 'August 2016' is a bright yellow-toned green holographic with added holographic microglitter. 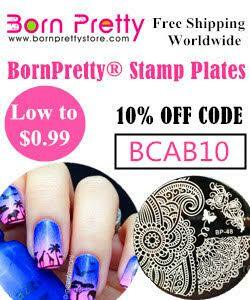 The formula is super smooth and easy to apply, and has good opacity. It is just slightly sheer on the first coat. A second covers completely and brings it fully opaque. Below is two coats with topcoat. What do you think? 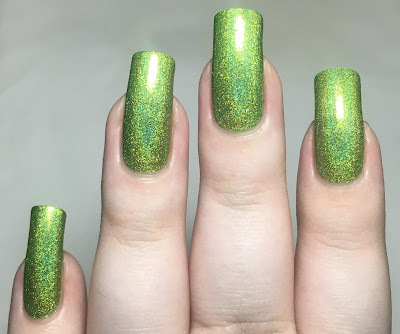 This is one of the monthly polishes I was looking forward to trying the most. I love these kinds of greens! August is my boyfriends birthday month, so I wore this around his birthday and loved it. Keep an eye out next month for my swatch of 'September 2016'. You can find 'August 2016' on the Nine Zero Lacquer website here.